Is Ashley I. OK? As each episode of Bachelor in Paradise goes by, her face becomes redder, puffier, and blotchier. Last week, she was applying ice to her swollen cheeks and generally looking pained over just about everything around her. Perhaps she’s right that an overly permissive beach vacation doesn’t suit her. Of course, I have to wonder what environments do suit her. A hyperbaric chamber? An Egyptian tomb? An empty theater playing Fantastic Four? What I’m saying is that people should not be involved in Ashley I.’s life, unless that person is her dearly departed sister Lauren. Lauren I. dragged her suitcase full of lies down the beach and skedaddled back to not-Paradise to be reunited with the lucky guy with whom she’s having an affair. Ashley thought it would be good for Lauren to come to Mexico and make out with a bunch of strange men on national television as a kind of shock therapy to reboot her brain and get her to stop pining over a man who already has a girlfriend. Unfortunately, Lauren’s stint in Paradise led only to more tears and no sloppy hookups. It also outed Lauren as someone not to be trusted in front of millions of people. Through this maniacal, traumatic process, the only person who fell in love with her is me, and sadly, I am also taken. Lauren’s final shot at romance was sleepy-eyed welder Joshua. She’d been crushing on him since he first appeared on Kaitlyn’s season, and she had put all of her very not-dead eggs in his proverbial basket. As luck (or whatever you want to call producer intervention) would have it, Joshua was the next guy to enter Paradise. When he proved to be uninterested in her bleating tomfoolery, Lauren committed to going home. She had completed her mission already anyway. She freaked everyone out by revealing she has a secret boyfriend who is someone’s actual boyfriend. She spiced up the first three episodes with some truly unique temper tantrums that called out the implicit trauma of BIP’s central conceit. She insulted her sister’s dumb shoes. What else was there to do except grow wings and fly away like the angel she is? And who would take her place but the devil himself? Joseph, the 12-head from Kaitlyn’s season, violently wrested the villain mantle from weaselface JJ. Last we saw Joe, he was throwing a temper tantrum over his unceremonious park bench dismissal from The Bachelorette. The producers must have seen a spark of something in that meltdown, because now Joe’s brand is chaos. Up until that point, he was just another walking grin with a Southern accent. The savvy viewer of BIP had to know something was up when every talking-head interview preceding his assimilation into the sexhive revolved around how “funny” Joe is. I was more than a bit mystified as to where this sterling reputation for comedy excellence came from. At no point during The Bachelorette did I find anything about Joe amusing, other than his massive forehead and borderline Pauly D–from–Jersey Shore haircut.1 My skepticism over his sense of humor gently melted away when he farted in front of one of the producers. Clearly, that’s a guy who used to edit the Harvard Lampoon and will be writing for The Simpsons within a week. Joe’s master plan is to make Juelia think he loves her so that he can scam a rose, then bide his time until Samantha from Chris’s season shows up so that they can, in his words, “get in love.” The first step was to clumsily use his date card on Juelia so he can take her horseback riding. Like any evil genius, Joe is prone to pontificating about how fiendish he is to anyone who will listen. In this case, his confessor is the many cameras filming his every move. I’m sure no one will tell Juelia about this deception before tonight’s rose ceremony. 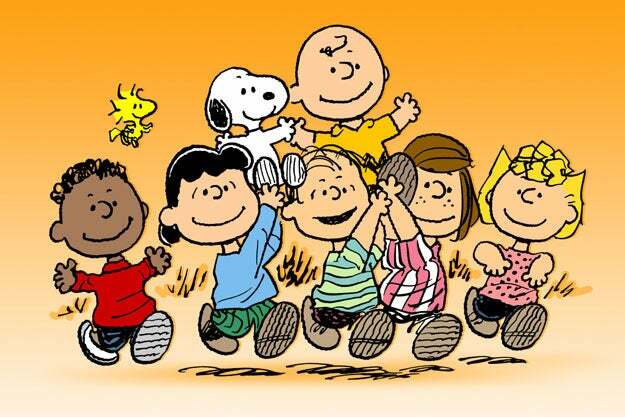 Certainly not “Franklin from Peanuts,” a.k.a. Jonathan. 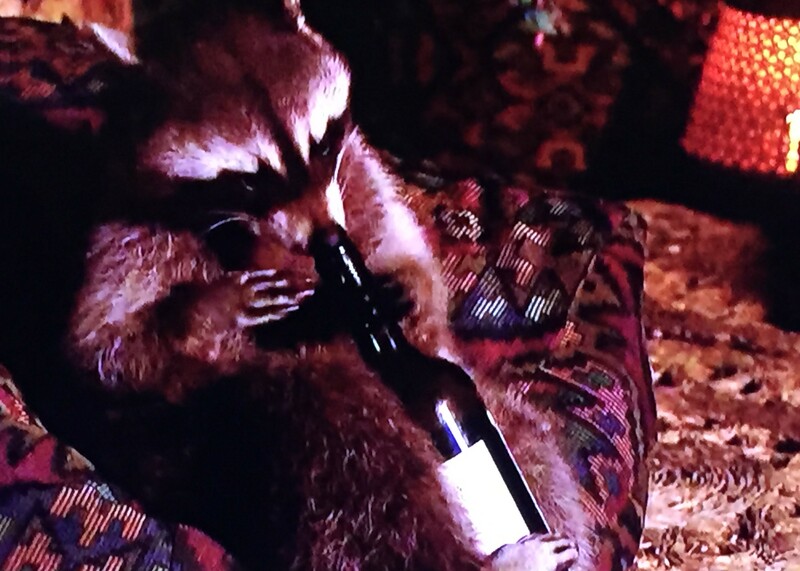 The drunk raccoon Clare talks to when she’s emotionally distraught and unintelligible gets more screen time than Jonathan, and now Jonathan’s getting aced out of a rose by Joe’s duplicity. I guess Jonathan has (had?) some thing with Juelia that Joe’s screwing up, but I can’t be sure of that since I have barely seen him interacting with her. In the midst of this, Joshua’s reputation goes from “big-hearted, former actor turned welder with Andre the Giant hands” to “drug-crazed maniac who doesn’t know that Tokyo is not in China” within the span of one commercial break. Josh, clearly having been over-served by his bartender, started rambling on about how there’s a club in L.A. that serves coconuts dosed with Molly. Then, we get a different anecdote about a trip to Vegas on which he takes Molly and has a kooky, crazy time with his peers. This turns into an anti-drug PSA complete with a vague story from Tenley about her past dating troubles. Everyone’s worried that Tenley’s now dating Michael Alig instead of a simple welder, so she confronts Joshua, who says he hated doing Molly and he’s not a party monster, he swears. Three episodes in and just about every cast member has had their character built up and torn down just like Joshua, save for one: King Jared. Inexplicably, Jared is still the most desirable man in Paradise. I suppose I should find his story inspiring. He’s overcome the disadvantage of having a gigantic jaw and the physical inability to grow facial hair and is now a heartthrob on a popular TV program. What’s stopping me from having that glamorous life besides entirely too much self-respect, a laundry list of inhibitions, and a disgusting, flabboid body? As Tom Hanks said in a similar context during Saving Private Ryan, I’ll see you on the beach! Back to Jaw-red, though. The bitter fruit of Clare and Ashley I.’s pursuit of the Jaw was a montage of salty tears. Clare received Jared’s date card, much to her delight and Ashley’s misery. Ashley once again revealed herself to be an unrepentant ageist when she angrily referred to Clare’s eggs as “almost dead.” On Bachelor in Paradise, the souls might be dead, but the eggs better not be. Clare’s visible joy finally alerted walking bratwurst Mikey T. to the reality that Clare has absolutely no interest in him despite his generous offer of a rose last week. Mikey spit out his creatine long enough to express his displeasure at her ditching him for Jared with the kind of haste only seen by early-adopting Tidal subscribers. Mikey cried. Ashley cried. Clare cried. Jared wondered where all the missing socks go, if not the dryer. Another dimension? Outer space? The teaser for tonight’s episode promises much in the way of sparks between Clare and Jared, which guarantees yet another sobbing fit from Ashley I. If only her sister were around to console her when she ends up Jared-less and rose-less at the end of the night. 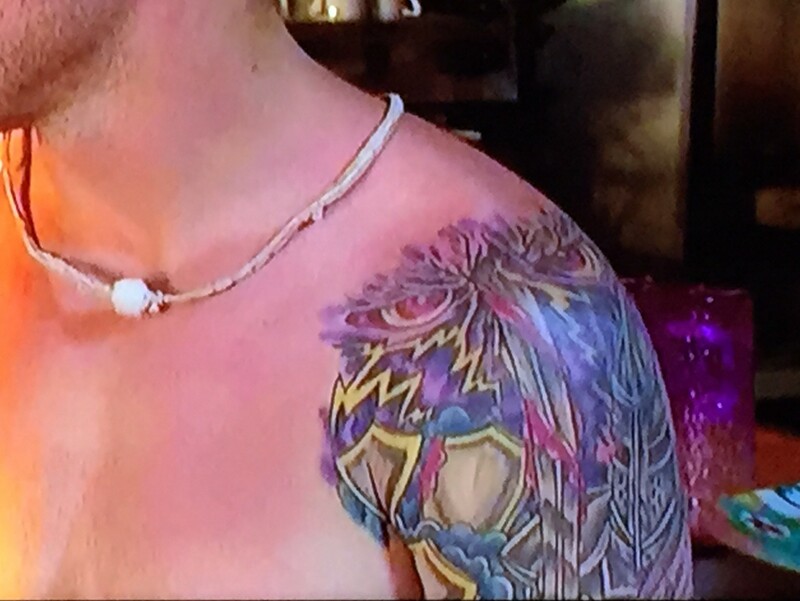 JJ’s tattoo looks like a Dragon Ball Z boxed set exploded on his arm. Is it an eagle with a sword for a nose? Is that the Black Knight from Monty Python and the Holy Grail? Am I the lame one for not thinking this is the most dope thing of all time? Mikey T.’s shoulder appears to depict dolphins spooning or a convention of disgruntled lightning bolts. Let me guess, it represents “turmoil.” To me, it represents poor judgment. 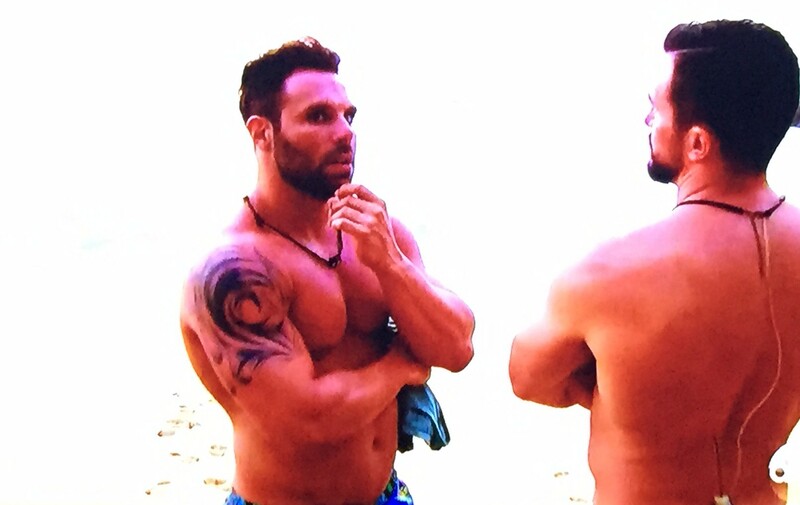 Join us next week on Tattoo Watch 2015 as we delve deep into whatever the hell is on Joshua’s calf muscle. Thankfully, that haircut has since been replaced by a more sensible variation.